It’s great to see that the Czech Republic is back in the Eurovision Song Contest. After an absence of four years, the beautiful country with a lively music scene can be watched in the 60th edition of the ESC. There has been an internal selection by the Czech broadcaster ČT Ceská Televize. The popular composter and songwriter Ondřej Soukup has been asked to compose songs and the CT has made the final decision. The singers Marta Jandová & Václav Noid Bárta have been announced earlier this year. Marta Jandová was born in Prague, Czech Republic in 1974. Her father Petr Janda is a well-known rock musician from the band “Olympic”. Martá moved to Germany in 1993 and met the guitarist Thorsten Mewes, with whom together she was singing in the band “Die Happy”. Later on she participated twice in the “Bundesvision Song Contest”, which has been founded by the German TV celebrity Stefan Raab, who also entered the ESC as singer, composer and host. Together with the cellist of Apocalyptica and the song “Wie Weit” she made a 5th place in 2007 and at the second time a victory could be achieved with the band Oomph! and the song “Träumst Du?”. By now Marta is successful in all fields, she is hosting a TV show on ZDFneo and is a jury member in the German casting show “Popstars”. Marta has moved back to Prague and is acting in the musical “Mona Lisa”. She is still singing with several German artists e.g. Revolverheld “Halt Dich An Mir Fest”. Václav Noid Bárta was also born in Prague, Czech Republic in 1980. He grew up in a music orientated family, his father is an author and producer, his mother is a singer. Václav became a singer, composer, actor and voice actors. In the age of 17 he has been joining the metal band Dolores Clan. He is now singing for the band Noid. Beside of his band engagement he is appearing as a musical singer such as Aida, Jesus Christ Superstar, etc. The song „Hope Never Dies“ is a beautiful rock ballad. Both singers are exceptional rock musicians, so this song is unusual soft for this duo. Their voice merge in a wonderful way and the chorus is touching. With this composition the chance for the Czech Republic are relatively high to pass the Semi Final. Good choice! The Czech Republic has been transmitting the Eurovision Song Contest for many years until they have decided to join the contest in 2007. The debut entry “Malá Dáma” by the rock singer Kabát has only received one point in the Semi Final and came last. 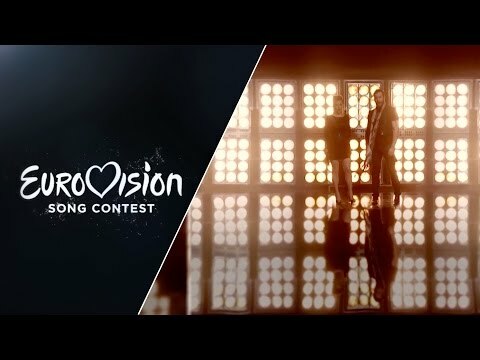 Unfortunately, the Czech Republic has never been successful in the ESC. In the two following years, the best placing was twice the 18th rank with “Have Some Fun” by Tereza Kerndlová in 2008 and “Aven Romale” by Gipsy.cz in 2009. A lot of TV spectators will not even have noticed that the Czech Republic has been taking part, as they have never passed the qualification rounds, so there was no appearance in the Grand Finals. The neighbour country Slovakia had its debut in 1994 already, and participated seven times, but none of the songs has ever really been successful. Maybe the enthusiasm in both countries is has not been strong enough for this music format, even if the Czechs had its Intervision. This year will be a return of the Czech Republic after four years with a lot of new spirit and effort to achieve a better place and to reach the Grand Final.